Middle eastern carrier Etihad Airways is in the middle of a massive cost cutting spree. The airline has gone from spending money like there was no tomorrow to pinching every possible penny. In the last year we have seen the airline cut down routes, reduce passenger benefits like the chauffeur drive, catering and beverage quality in first and business, etc. The airline also closed the Sixth Elements spa at it’s London lounge, al-a-carte dining and reduced the cocktail and beverage menu. Read our review of the Etihad lounge from last year. 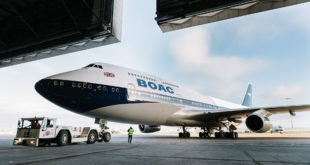 A couple of days back it was confirmed that the airline would no longer operate it’s own lounge at it flagship out station at London Heathrow. 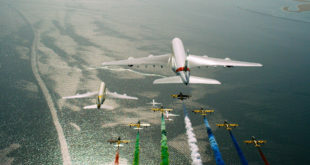 (Etihad operates three daily Airbus A380s to London). The lounge would be transferred to No1 lounges who would take up operating the lounge. Etihad still operates it’s own lounges at Dubin, Los Angles, New York, Washington, Paris, Melbourne and Sydney. Some of the locations see only one Etihad flight a day. The airline has announced that the lounge in London will be rebranded ‘The House, home of Etihad Airways and other leading airlines’. 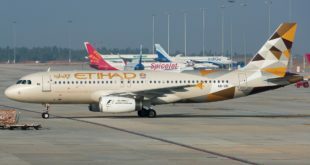 And has said “The scope of the new lounge brand may be expanded to include other lounges.” indicating that Etihad’s other outstation lounges will be rolled into the same brand. 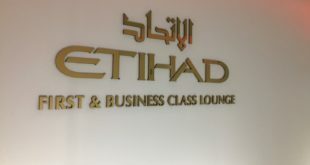 The lounge will be run by lounge provider No1 lounges and will as stated by Etihad. This collaboration will also allow better utilisation of the lounge and make the experience accessible to a wider market. “This is an innovative development for Etihad’s international lounge offering. No1 Lounges stood out for their operational skill and expertise, and for their creative approach to Etihad’s lounge needs. Access to the lounge for Etihad passengers will remain the same as before with access available to Etihad Airways Business Class, First Class and The Residence customers. Gold and Platinum members of Etihad Guest frequent flyer program will also have access. Economy passengers on Etihad can also pay to access the lounge. We can also expect the lounge to become available for paid access and priority pass access. The lounge will also become accessible to premium passengers of other airlines as the operator signs contracts with them. “We have worked closely with Etihad Airways over the last year to develop a new brand which complements its world-class in-flight service, to modernise the lounge interiors and to broaden the lounge’s appeal. The airline has also stated that the new lounge will launch with features. Which sounds a bit funny to me since it seems to describe many of the services that Etihad cut from the lounge over the last year. “The House” seems to be the future of the Etihad outstation lounges. If the airline couldn’t make it’s lounge work in London where they operate three flights a day with their flagship aircraft, there’s no way they are going to be able to make any of their other lounges work. Most of the airline’s lounges are not run efficiently anyways being open only a few hours a day before the departure of their flights. Expect all the airline’s outstation lounges to be contracted out in the near future. The lounge operator No1 will be assuming most of the risk of running the lounge now and will have to turn it profitable by increasing it’s utilization and cutting costs.